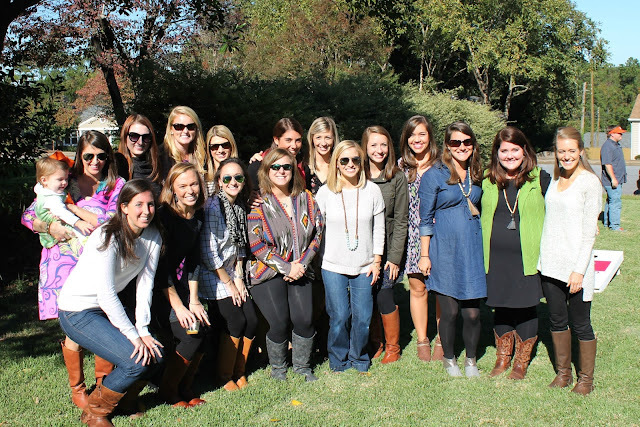 This weekend I got together with some of my girlfriends to host a double baby shower for my two good friends, Melanie and Sallie. 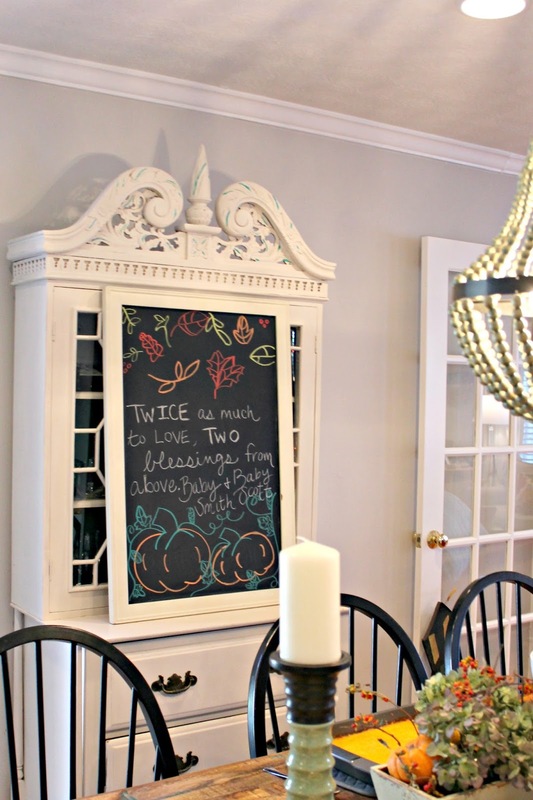 They're due about one month apart from each other, so we figured it would be fun to host one big shower for the two of them. We kept it simple, and requested that each guest bring 2 packages of diapers, one for each baby, and we assigned each guest a size so that each couple received a good variety of diapers. The shower was very laid back, the boys all drank beer and played yard games out back while the girls stood around chatting and rubbing baby bellies. 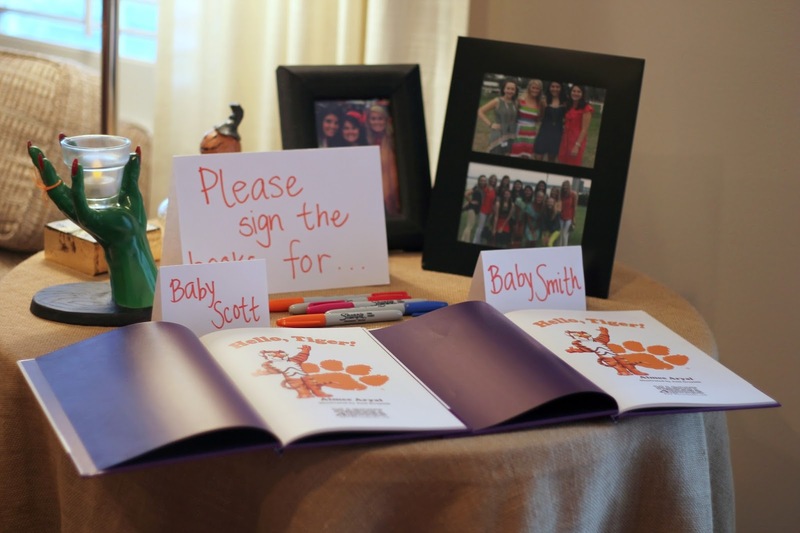 As a takeaway for each couple, we had everyone to write little notes in this Clemson themed children's book, Hello Tiger. 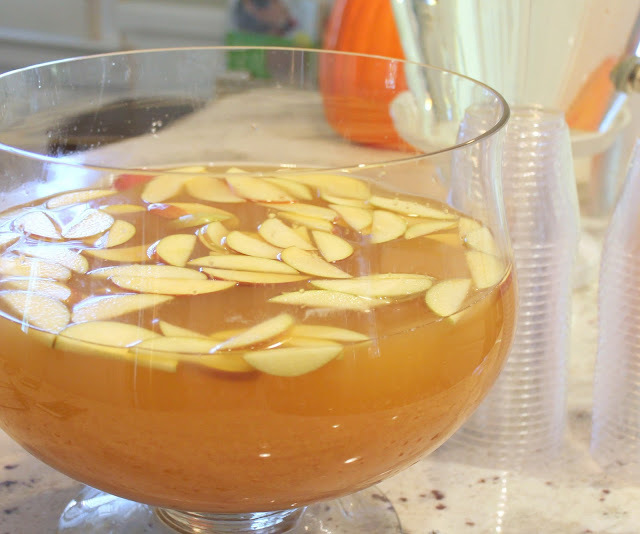 We served some dips, finger foods, and this tasty fall-themed apple cider punch. The punch was a huge hit. It was a non-alcoholic punch so that the guests of honor could indulge, and then we just served it with a bottle of champagne next to it, so anyone could top it off with champagne if they wished. In a large bowl combine first five ingredients. 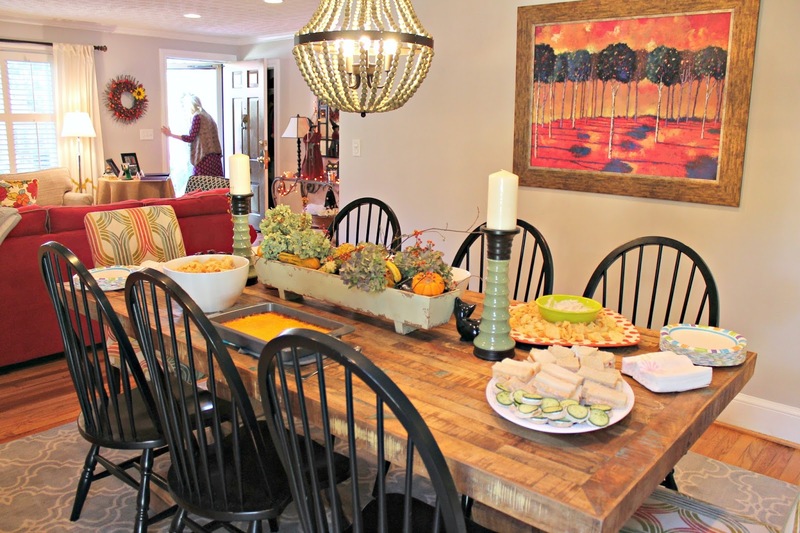 Serve champagne alongside the punch so guests can top their cups off with a little bubbly. 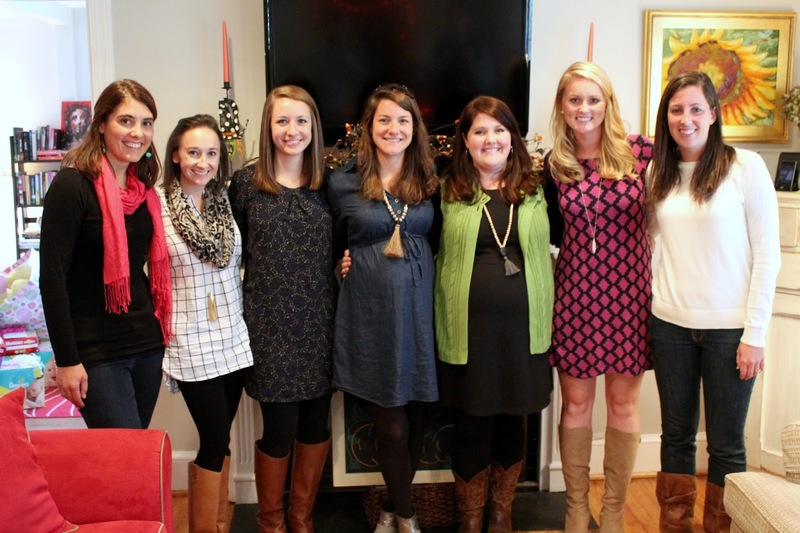 It was so great to see some of my close girlfriends that I don't get to see very often. I just cherish every moment when we can all be together. And I can't wait to meet those two sweet baby girls, they'll be here before we know it!